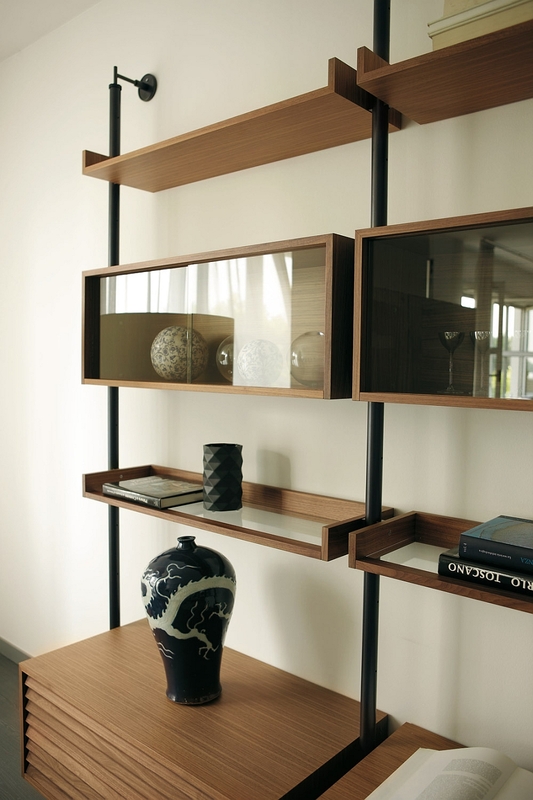 Wall unit systems are quickly turning into the heart of the living area, and they are replacing the old entertainment system as the focal point of the space. 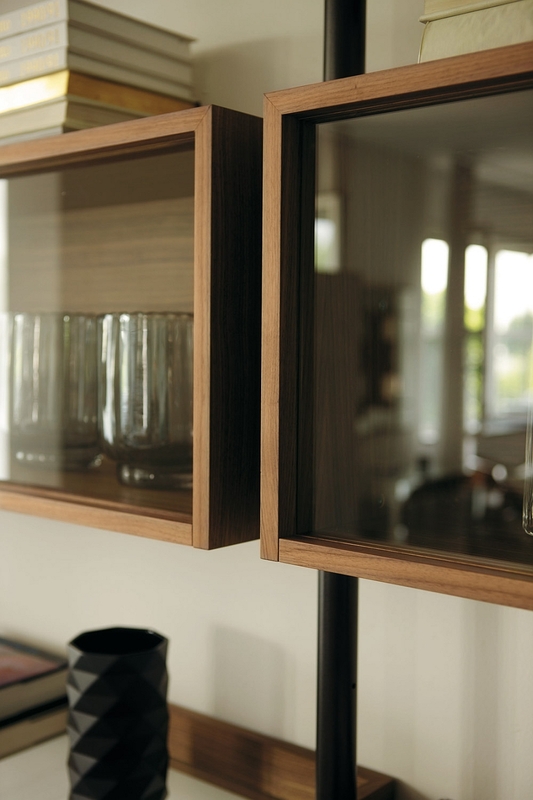 Bringing together a touch of metallic brilliance, the sleek style of glass and a hint of wooden warmth, the latest wall unit designs from Porada steal the show with their minimalist silhouette. 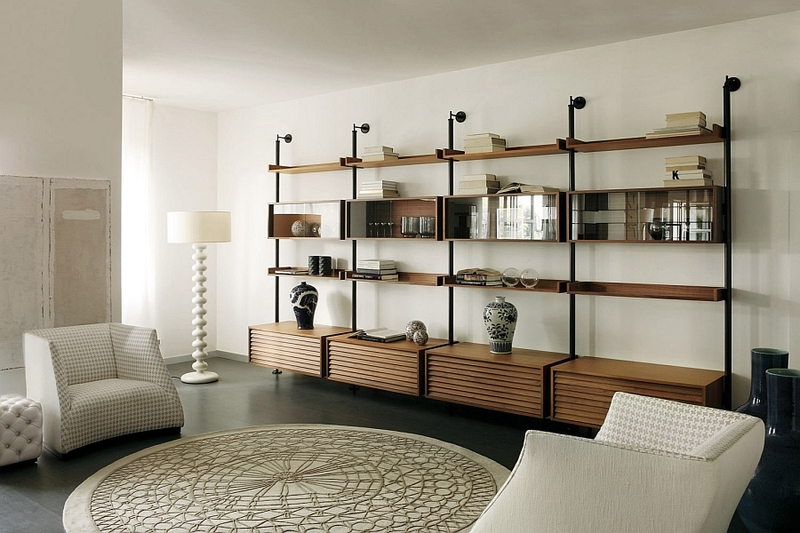 These trendy wall units obviously need not be relegated to the living room alone, and thanks to their ultra-minimal style, they take up very little space. 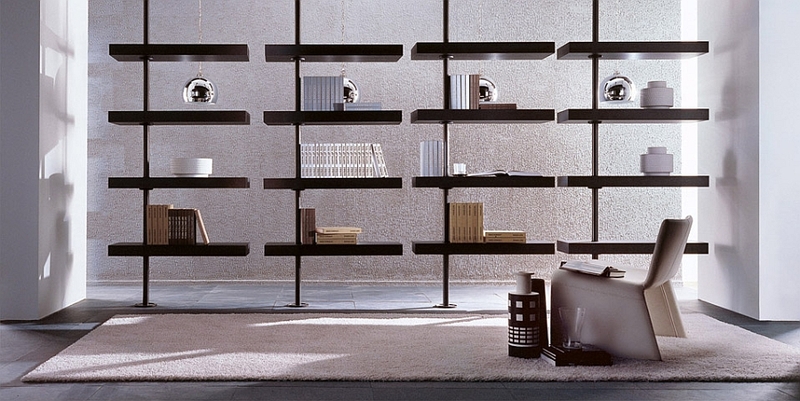 Not to mention, thanks to the use of thin glass shelves that seem to disappear into the backdrop, these trendy compositions give the room a visually airy appeal. 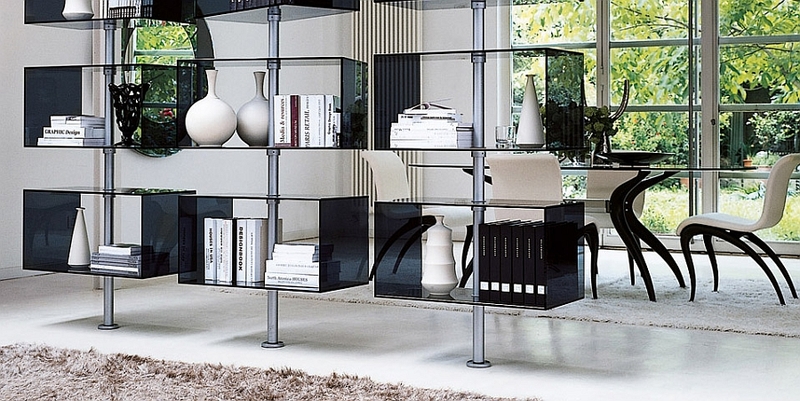 A thin frame made from metallic rods forms the basic structure of all these wall units, and these simple poles are fixed to the wall and the flooring to ensure that you have a strong, stable structure. 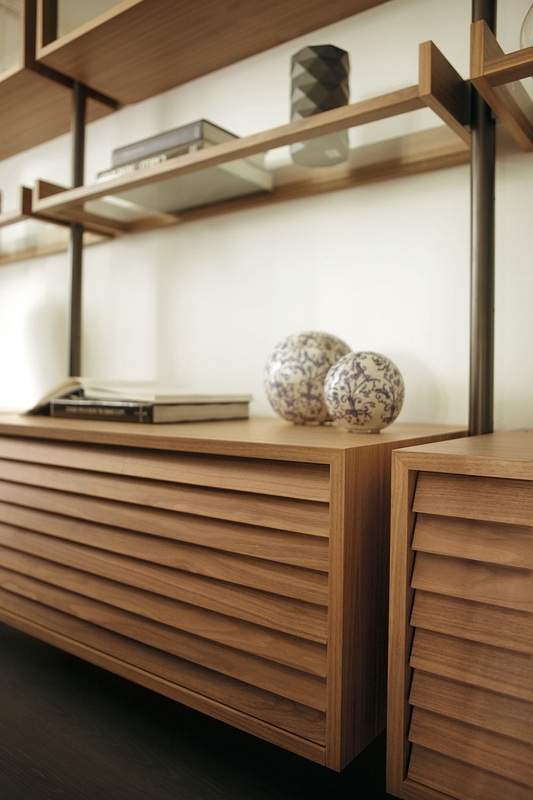 Unlike many other wall unit systems that use extensive wooden boxes or heavier planks, this uncomplicated and stripped-down design gives your living room a more casual, urbane appeal. 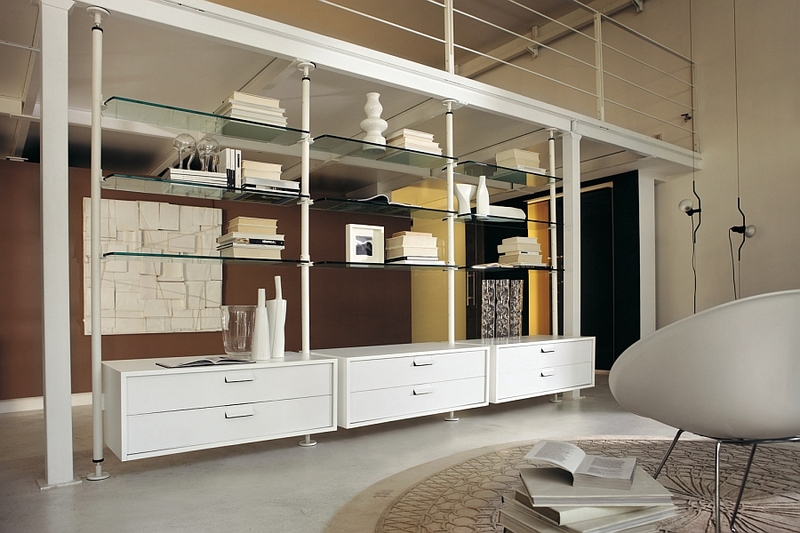 While Ubiqua uses wood to complement the graceful use of glass and metal, the other compositions stick to the two basic elements. 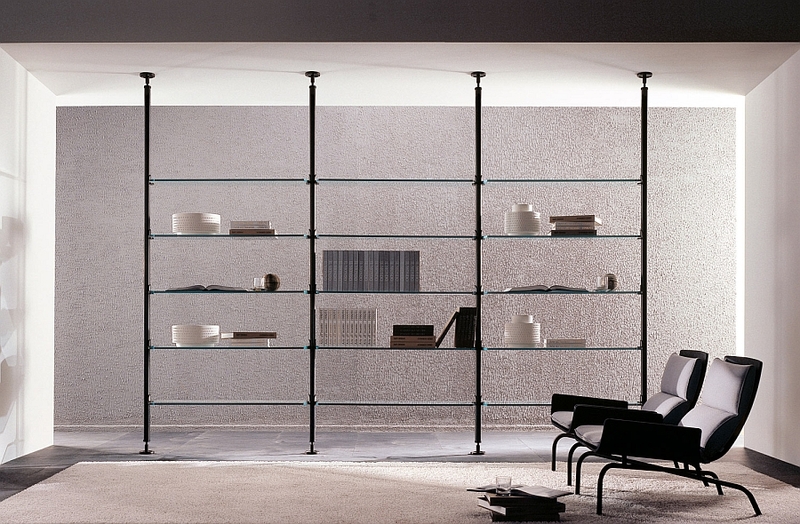 With dynamic compositions that offer everything ranging from a smart combination of open display units and closed cabinets to show-stealing, rotating glass boxes, the offerings allow you to pick a wall unit that fits your specific needs. 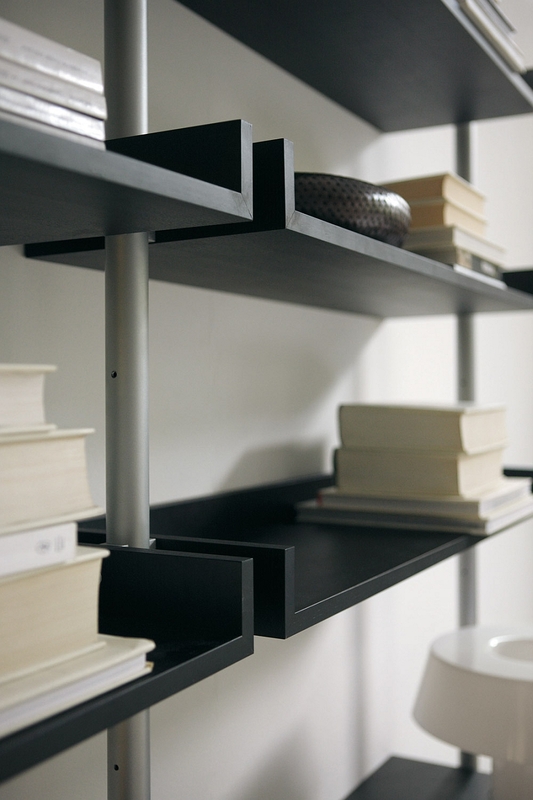 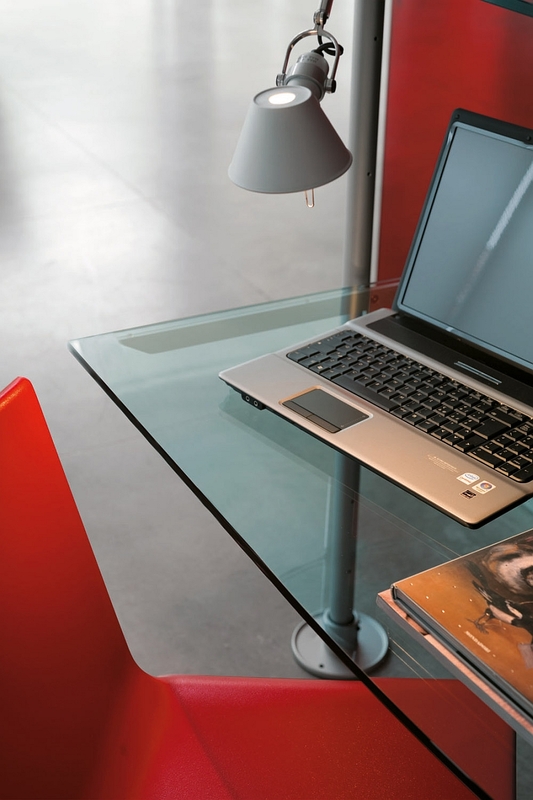 The Domino lineup also combines a smart home workstation along with a wall unit to complete your snazzy living area or home office. 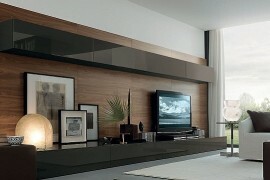 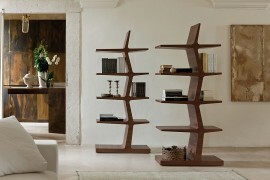 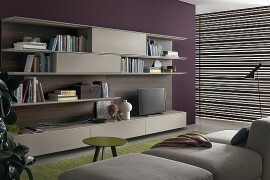 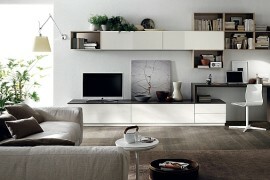 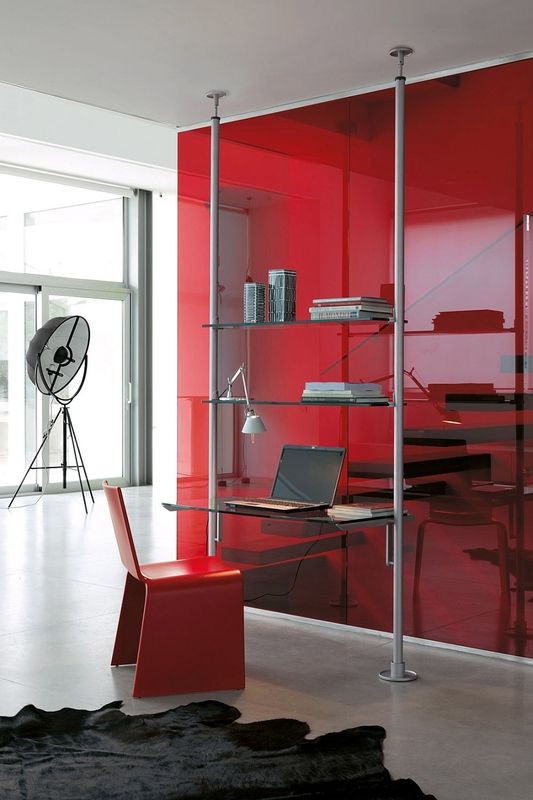 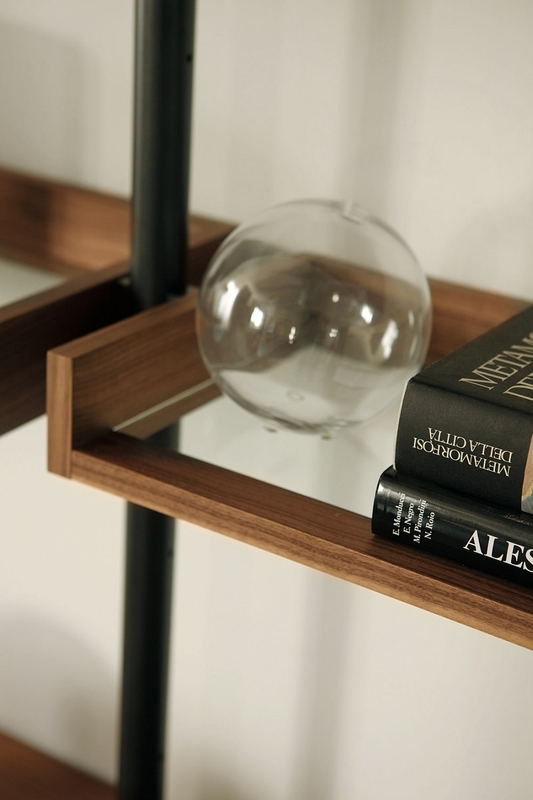 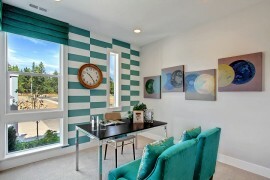 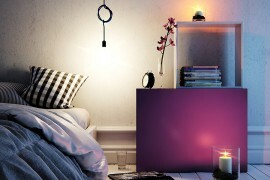 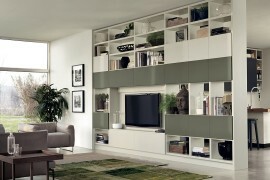 Sophisticated and innovative, these Porada wall unit systems lend a whole new dimension to your home!